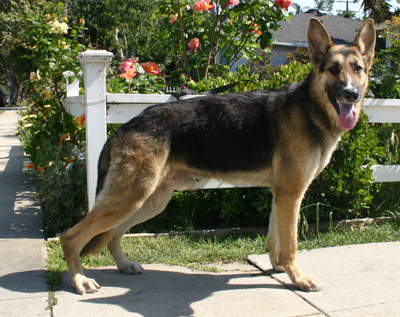 Mario is an elegant and slender black and tan Shepherd with a touch of white thrown in for good measure. He's become a favorite of both the assistants at his boarding kennel and the volunteers at Westside. No surprise ... he's one of the most affectionate Shepherds you'll ever meet. Mario likes nothing better than to lean on you and surprise you with unexpected kisses. When he goes outside, he doesn't just walk, he's so proud to be with you, he prances. He likes other dogs, children, loves going for rides and playing. 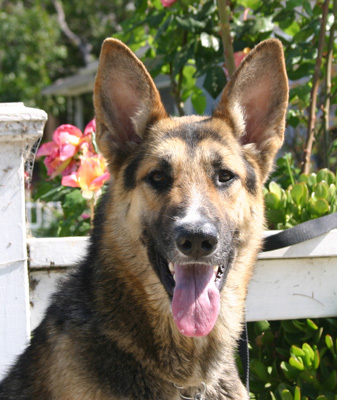 Mario is a very quiet Shepherd who rarely barks. 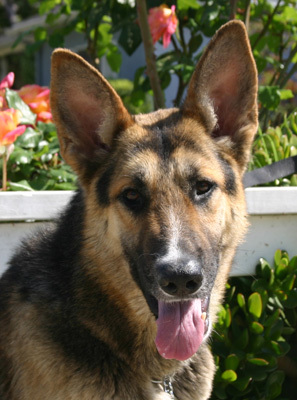 If you're looking for a perfect Shepherd for the family, or just a dog who'll love you and be protective of you, you can't do better than Mario.